In Singapore you need to get approval from the authorities for your type of radio, you intend to buy, before you can actually buy it. 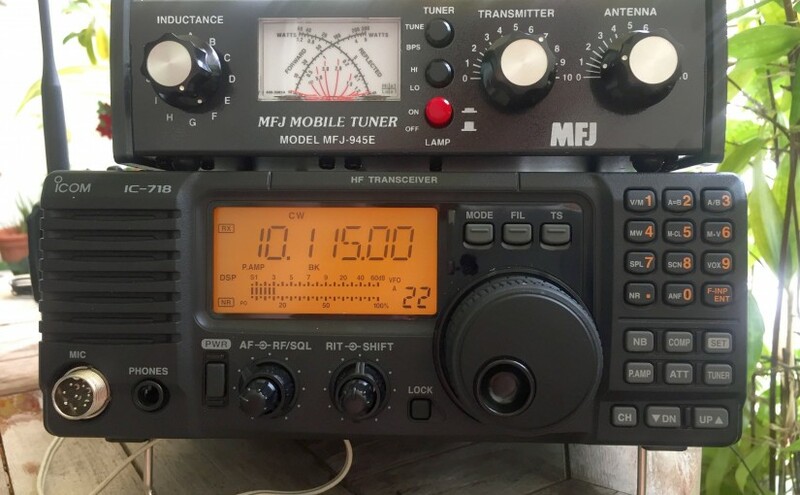 So in order to avoid any problems, I selected the ICOM IC-718 HF transceiver, as I knew it was approved before and available from stock. Now, setting up my station, I was looking for a good logging program, running under OS-X on my new Apple Macbook (early 2015). I decided for RUMLog, as it is free and offers all features I need for my casual operation. To connect to the IC-718, I use a Icom CT-17 CI-V CAT Programming Cable with a Prolific chip set. The drivers can be downloaded from their support webpage and work without problem under OS X El Captain (10.11.3). Now frequency and operation mode are automatically transferred to RUMLog.